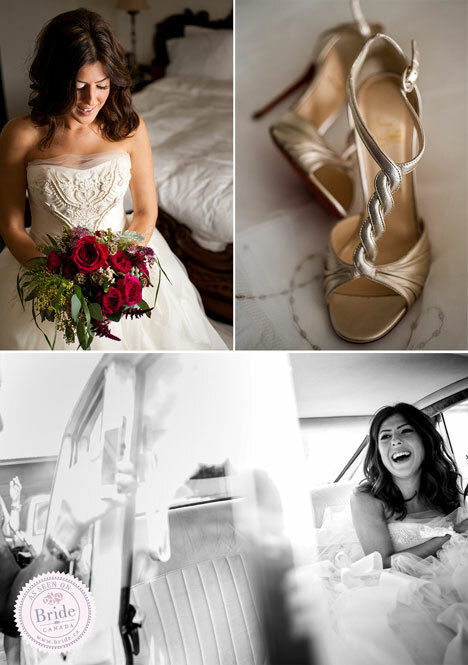 The Montreal wedding of Mary & Robert was a beautiful occasion that was both love-filled and opulent. 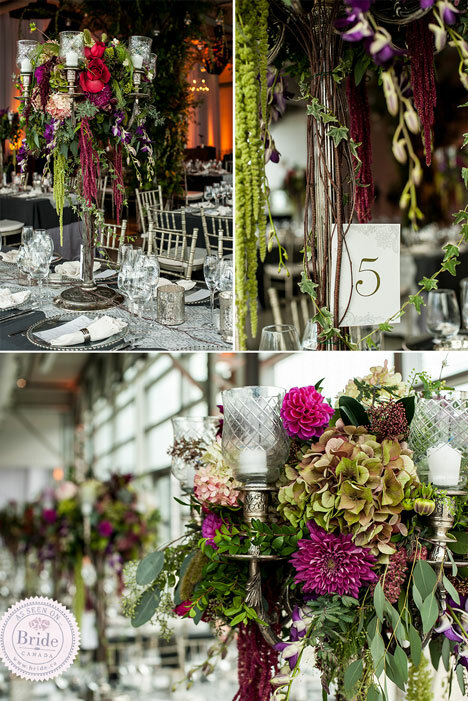 Their incredibule day was captured by Grey Sparrow and expertly planned by Blanc Events, who utterly transformed The Panoramic Hall at the Montreal Science Centre into a magnificent enchanted forest. Mary & Robert on their wedding day; these two simply radiate with love. Photography by Grey Sparrow. 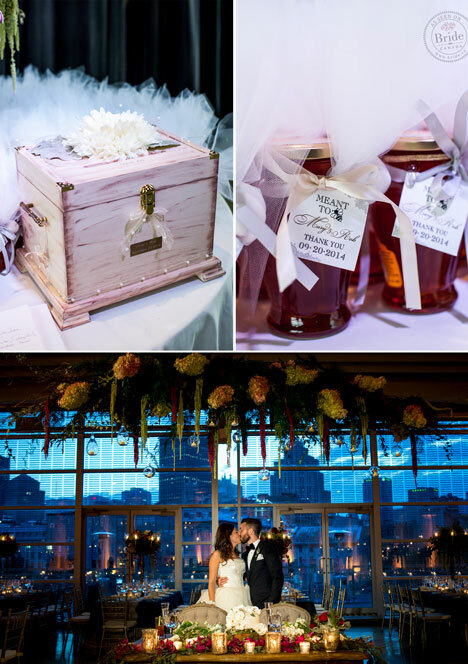 A word from the bride: "Robert and I both dreamed of getting married in the country, as we both grew up spending our summers there. However, getting 300 people to the country is no easy task. Instead, we thought it would be easier to transform a room at the Science Center in Montreal into an enchanted forest. The color scheme revolved around warmth and greenery, focusing on deep burgundies and dark mauves, as well as introducing tons of wood and muted silvers." Mary chose to wear Vera Wang's Liesel gown; the intricately beading dropped waist bodice and full layered skirt suited her beautifully. If you are experiencing major shoe envy right now, you are not alone; we LOVE her Jazzy Doll heels by Christian Louboutin. 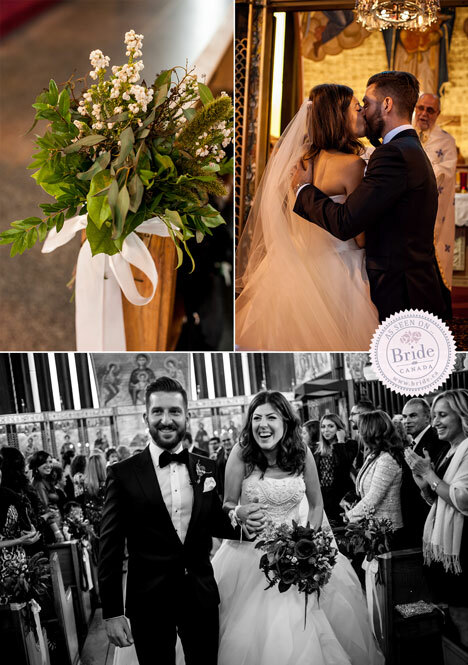 The couple's ceremony at St. George Greek Orthodox Church was steeped with tradition and love. 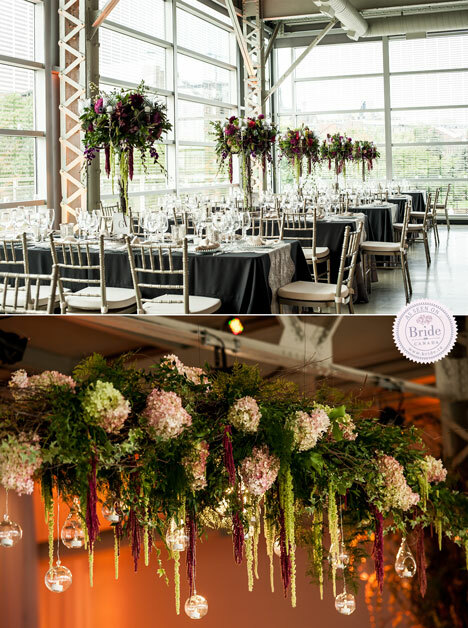 The incredible floral design by Fleurs des Jardins can only be described as enchanting; they did an amazing job of bringing the couple's vision to life. 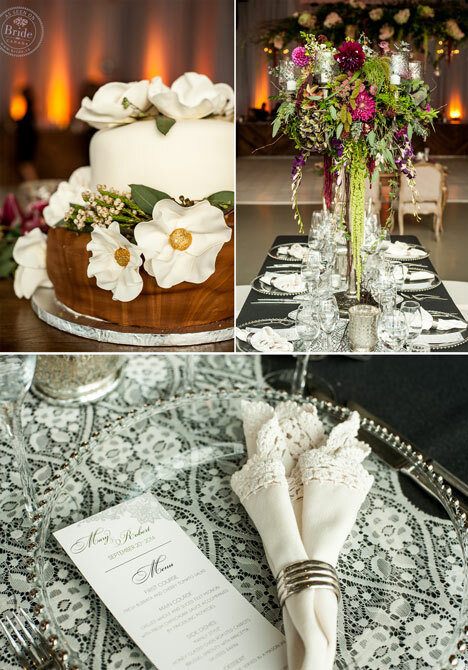 The silver tones throughout the room were a perfect choice by Blanc Events. From the linens and tableware (even the napkin rings! ), to the silver chiavari chairs, there was a feeling of finery and opulence everywhere the eye could see. Hundreds of glowing candles created a beautiful and warm ambience for the evening reception. The Montreal cityscape and setting sun make for one stunning backdrop. Here's to the happy couple! Videographer: Hello, I Make Films (Montreal). Watch the video here.